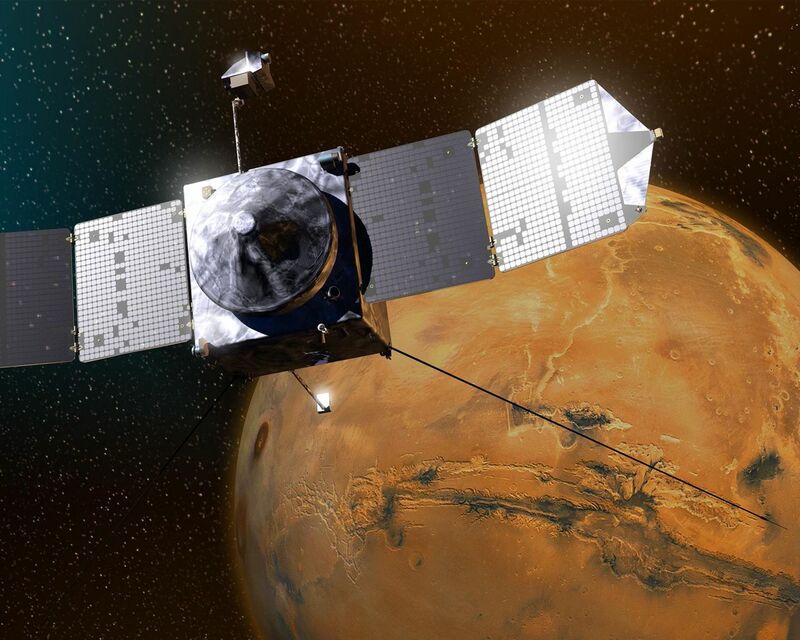 This artist's concept depicts NASA's Mars Atmosphere and Volatile EvolutioN (MAVEN) spacecraft near Mars. 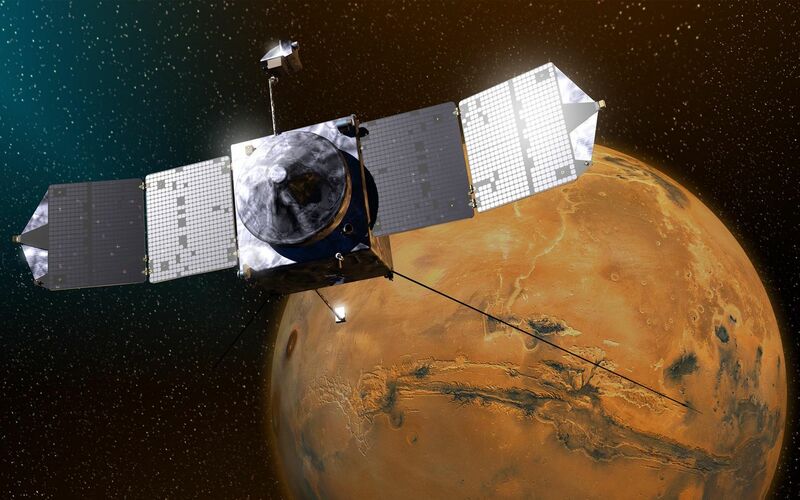 NASA Goddard Space Flight Center in Greenbelt, Md., manages the MAVEN project for NASA's Science Mission Directorate, Washington, and built some of the science instruments for the mission. MAVEN's principal investigator is based at the University of Colorado's Laboratory for Atmospheric and Space Physics in Boulder. The university provided science instruments and leads science operations, as well as education and public outreach, for the mission. Lockheed Martin Space Systems, Denver, built and operates the spacecraft. The University of California at Berkeley's Space Sciences Laboratory provided instruments for the mission. JPL, a division of the California Institute of Technology in Pasadena, provides navigation support and Deep Space Network support, in addition to the Electra hardware and operations. 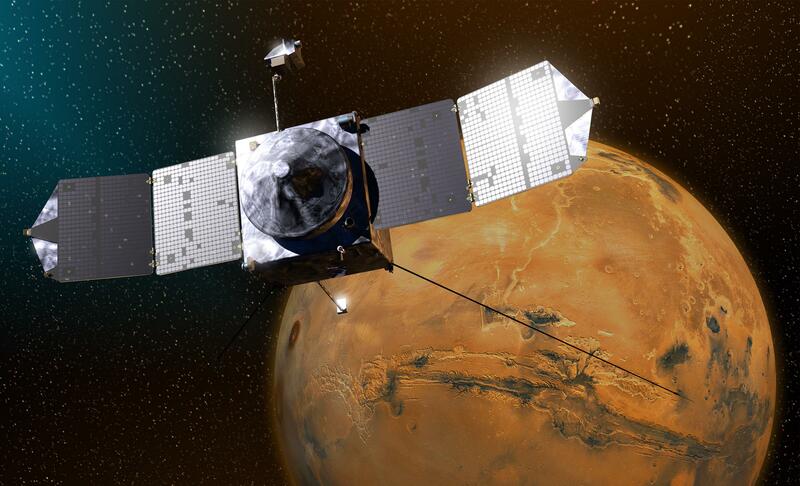 For more information about MAVEN, visit www.nasa.gov/maven.